You can partner with Heaven’s angelic hosts! Do you have guardian angels? Does God want you to know them? Find out what Scripture reveals and how YOU can interact with the company of Heaven! The supernatural realm permeates our natural world! Therefore, experiencing angels should be an everyday occurrence–we simply need to open our spiritual eyes to their reality and role in our lives. God’s angels are always ready to assist those who have inherited salvation. Through powerful stories of angelic experiences and insightful teaching on the presence of angels, Charity Virkler Kayembe reveals how angelic encounters are not reserved to a few favored individuals, but are for everyone! 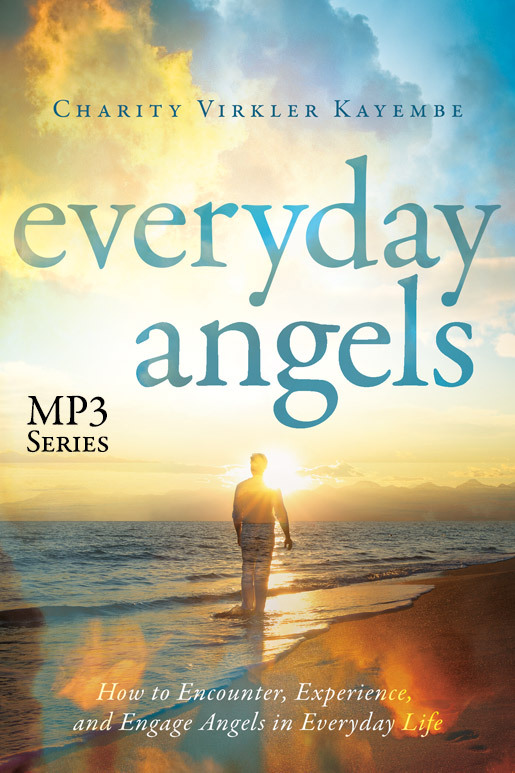 Learn how to increase your awareness of the angelic so you can work together with God’s ministering spirits every day. Discover how readily accessible this supernatural lifestyle really is! David Rocha has a video below where you can watch him pray with people on the streets of LA to receive healing. And even though he is praying through an interpreter, people are getting healed! This is amazing and exciting. This is what is going to sweep America and the world and you can become a part of it. You might ask, does it take a special background to make this happen? Well, David served a 5 1/2 year prison sentence, and took Christian Leadership University courses during two of those years. So I think the answer is all it really takes is for us to believe the Bible and get out there and start praying for miracles. Watch his video and see if you don't agree! I put on the Sea of Galilee music as I journaled. Lord Jesus, I come to You. Where do You want to meet me today? Mark, I want to meet you in heaven. Because that is where I live and that is where you live, seated with Me in heavenly places. Lord, I come. What do You want to show me? The following excerpts are from an outstanding 25-page Practicum Report on his Uganda missions work, which has been submitted by Jacob Witmer to Christian Leadership University toward his Master of Divinity degree. The course title is "EVA315 Cultural Studies."